The Zoning Administrator has ruled AGAINST Freeport McMoRan Oil and Gas’s (FMOG’s) proposal to install a CEB 800 natural gas burning flare to burn 400,000 cubic feet of gas per day at the Murphy Drill Site at 2126 W Adams Blvd. FMOG has filed an appeal to try to overturn the decision. 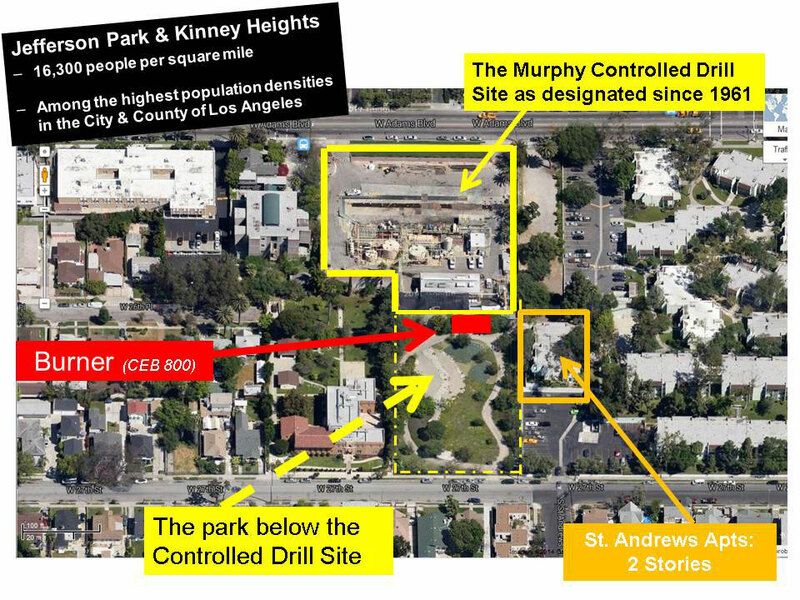 In his ruling issued on June 30, 2016, Zoning Administrator (ZA) Charles Rausch of the Los Angeles Department of City Planning declared in strong language that installation of a flare for the first time ever at the Murphy Drill Site would constitute “an industrial use” that belongs in an “industrial zone not in an R4 residential zone.” Mr Rausch also argued that an environmental review under the California Environmental Quality Act (CEQA) should have been performed. FMOG filed their appeal of this decision on July 14, 2016; they wish to reverse it to allow installation of the flare and evade environmental review under CEQA. The South Los Angeles Area Planning Commission (APC) will hold a hearing and rule on the appeal. Their ruling can either sustain the ZA’s determination (with which we agree) or overturn it to allow FMOG to install the flare (which we obviously oppose). The APC must provide at least 24 days advance public notice before the hearing date. The earliest legally possible hearing date would be August 9, 2016. It is more likely to be heard in late August or September. Now is the time to learn more and begin to take action. You can make sure the decision makers know that you are opposed to the flare, that you support the ZA’s rejection of the flare, and that you oppose FMOG’s appeal to overthrow the ZA’s ruling. WAHA will provide updated information on the scheduling of the hearing by email and in the next WAHA Matters newsletter. This article will give you background on the most important elements upon which the ZA’s decision and the appeal will turn. Jefferson Park United (www.jeffersonparkunited.org) has posted the ZA’s ruling and many of the most critical documents in the case going back to its origin, along with a few primers about understanding CEQA and descriptive accounts of developments in the case. The website will soon have a copy of FMOG’s appeal posted, and it will post updates as they become available. Let Council President Wesson hear your voice: Write, call, and request meetings with Council President Wesson and his staff. Letters by US mail or fax are more effective than emails. Write to Mr Wesson at 1819 S. Western Avenue, Los Angeles, CA 90006. Or fax to 323-733-5833. If you do email Mr Wesson (councilmember.wesson@lacity.org) it is necessary to also cc the email to one or more of his deputies, such as sylvia.lacy@lacity.org or albert.lord@lacity.org or justin.wesson@lacity.org or any other staffer in his office you might know. Be sure to put “Murphy Drill Site” or something similar in the subject heading. Following up with a phone call after sending a letter or e-mail lets elected officials know you are staying on the issue. The Field Office phone number is 323-733-8233. Write to the Area Planning Commission to let them know what you think about the proposed CEB 800 flare: Write letters to the South LA APC about the case. Include the case number at the start of your letter and on the envelope, as follows: “Attn Case # ZA-1959-15227-O-PA5.” Submissions to the file must be mailed or hand delivered to the Planning Commission office in City Hall: South LA APC, Commission Office, 200 North Spring Street, Room 272, Los Angeles, 90012. Attend UNNC’s Meetings: The UNNC Neighborhood Council will discuss the case at its Governing Board meeting on Thursday, August 4, 6:30PM, at the CD10 Field Office, 1819 S Western Ave (enter from Manhattan Pl). A large turnout will add more weight to UNNC’s voice. Attend the Area Planning Commission Hearing: Last but not least, keep an eye out for the announcement of the hearing date for the appeal and attend it, if you can. City Planning’s review of FMOG’s proposal began three and one half years ago, in February 2013, and was restarted in June and July 2014 after Steve Peckman and I filed appeals. The new version of the case was discussed at a well-attended public hearing in City Hall held on May 12, 2015. Many residents and the UNNC Neighborhood Council wrote letters to the ZA, and more importantly we also wrote, called, and discussed the case in person with City Council President Herb Wesson. 24/7 monitoring of emissions using modern technology. Mandatory periodic review on a 5 year cycle to ensure condition compliance and the updating of conditions as needed. UNNC had requested these and other new conditions in September 2014. Mr Wesson pointed out, as we did, too, that City law actually requires the use of new technologies to improve mitigation as they become available, so emissions monitoring should have been required decades ago. Modern emissions monitors would instantly detect leaks of gas and fumes and pinpoint the source of the leak. Such leaks harm the environment, can directly harm people, and are always highly flammable. The Murphy Drill Site Case has had Wide Ranging Consequences. The City’s recent decision to hire a Petroleum Administrator (as required by City law since 1958 but unfilled since the 1990s) is a direct outgrowth of this case, and now the City is expanding the role into a Petroleum and Natural Gas Safety Office. 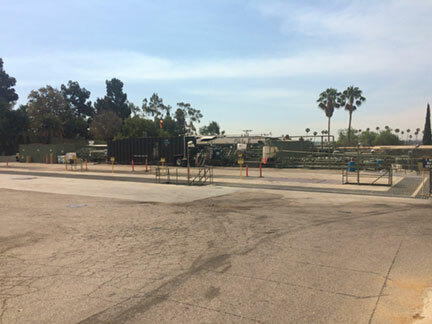 Partly as an outgrowth of this case, the SCAQMD is proposing new Air Quality rules for oil well sites that will strongly encourage “beneficial use” of unsellable waste gas in fuel cells and microturbines that generate electricity rather than in flares, which only create pollution. The Murphy Drill Site case has had even more far reaching effects. In December 2015, California Governor Jerry Brown’s office had CAL EPA commit to the goals of the UN’s and World Bank’s campaign to end routine flaring at all well sites by 2030, and this happened as an outgrowth of the Murphy Drill Site case. In March 2016 President Obama committed the US Federal government to the same goals; we did not factor into his wise decision, but his action tells you bringing an end to routine flaring at well sites is an issue of national importance. You can read about the global campaign to end routine flaring at well sites and why it is so important at the World Bank website here. The core of ZA Rausch’s reasoning was that the installation of a flare for the first time ever at the Murphy Drill Site would constitute “an industrial use” that belongs in an “industrial zone not in an R4 residential zone.” ZA Rausch noted that the Chief of the LAFD Fire Prevention and Public Safety Bureau “expressed grave concerns over the approval of CEB or a flare such as this in a residential neighborhood,” and the ZA expressed concern about the emissions from the flare in such close proximity to residences and other sensitive land uses. R4 designates the zone as allowing multi-family dwellings, schools, churches, and health care facilities. 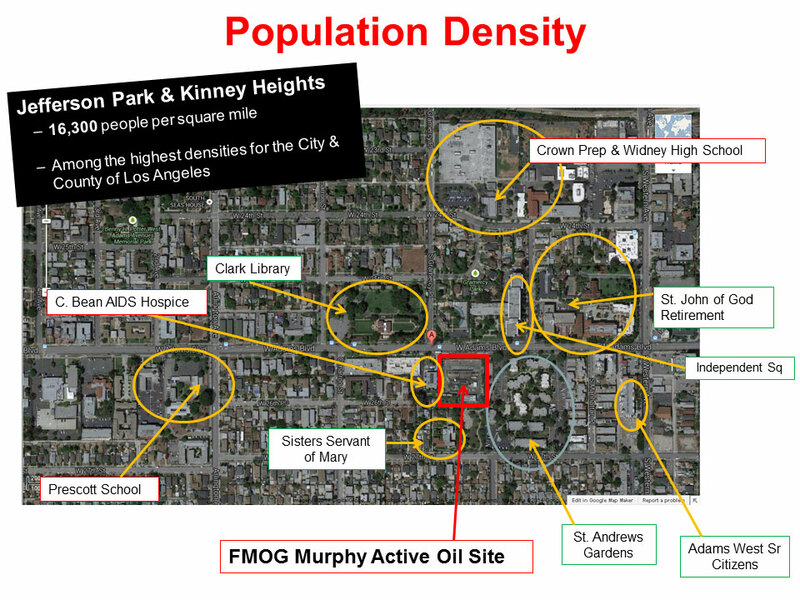 The Murphy Drill Site is situated in a densely populated residential area and is surrounded by an apartment complex approximately 80 feet away from the proposed location for the CEB 800, and a health clinic, single family residences, duplexes, a convent, UCLA’s world renowned Clark Library, and the LA84 Sports Foundation. It is located within the Jefferson Park Historic Preservation Overlay Zone (HPOZ) and next to the West Adams Terrace HPOZ. ZA Rausch also ruled that an environmental review under the California Environmental Quality Act (CEQA) should have been performed. Because he rejected FMOG’s application to install the CEB 800 flare the Planning review was brought to an end. He explained that if he had not decided to reject the application, then he would have sent the case back for the environmental review that it should have had at an earlier stage. This is a complicated regulatory issue, but it is an extremely important point. Furthermore, legal precedent from appellate court cases confirms that if mitigating conditions are included in an approval then there must be a CEQA review at the level of a Mitigated Negative Declaration or an Environmental Impact Report (EIR) because such mitigation is required to be developed through the CEQA review process. CEQA is a State law that sets procedural and substantive requirements for the approval of projects. Determining the extent of environmental impact and mitigating such impact is at the center of its purpose. Courts have ruled that you cannot mitigate your way into an Exemption or a Negative Declaration. Those are levels of environmental clearance suitable only when there is no significant environmental impact. The courts have ruled that mitigation is proof that there was a significant environmental impact because mitigation measures are meant to lessen adverse effects, and a significant environmental impact is supposed to trigger a review under CEQA. All approvals for significant projects at oil sites come with mitigation measures as required by City law. Since 1945, Los Angeles City law has expressly recognized that oil and gas production has deleterious effects that must be strictly controlled and reduced as close to zero as possible by the best available mitigation measures. Even the project proposal from FMOG already included some mitigation measures, such as the plan for a large sound wall to mitigate the noise impact of the CEB 800. For these and several more reasons, the Categorical Exemption from CEQA review that given to FMOG’s application was most improper. The ZA ruled that if the project were to be approved, then it would require some higher level of CEQA review. The CEQA issue is one of the two biggest challenges that FMOG makes in its appeal. They want Categorical Exemptions for everything they do because they have wrongly received them in the past, and they want them now and forever. Despite the ZA’s good argument about a higher level of CEQA review being needed, the ZA nevertheless also made a major mistake in one part of his discussion of CEQA. The ZA argued that the CEB 800 would not exceed the Significance Threshold for the emission of Greenhouse Gases that cause global warming (i.e., climate change). As explained below, the ZA was wrong about this finding. The explanation of this is truly important and is one route to defeating all of FMOG’s appeal. Since 2007, State law has required that Greenhouse Gas emissions, the principal cause of global warming, must be analyzed during the CEQA process when projects are being reviewed. Greenhouse Gases (GHGs), led by Carbon Dioxide (CO2) and other gases like Methane and Nitrous Oxide (NOx), are measured in terms of their CO2 equivalence when it comes to causing global warming. CO2 has a rating of 1 per unit of weight. It is the most voluminous Greenhouse Gas and it is the standard for measuring all others. Methane has a rating of 24 because it is 24 times more powerful a GHG than CO2. NOx has a rating of 268 because it is disastrously more powerful than CO2. You can read more about Greenhouse Gases on the US EPA’s Climate Change website on these pages here AND here. California State law requires that reviews under CEQA must consider GHG emissions as an important environmental impact and consider mitigations and alternatives to the project if the GHG emissions cross a threshold set by the local Air Quality Management District (AQMD). The South Coast AQMD (SCAQMD) that includes Los Angeles set the threshold for our area at 10,000 metric tons of CO2 and CO2 equivalents per year. Cross that line and an EIR is almost surely required. It was demonstrated in a submission to the Murphy case file that FMOG’s planned operation of the CEB 800 flare to burn 400,000 cubic feet of high Btu gas per day (the plan stated in FMOG’s permit application to SCAQMD) would generate well more than 10,000 metric tons of CO2 per year and thus clearly pass the legal threshold requiring an Environmental Impact Report to fulfill the requirements of CEQA. And that is without counting the emissions of NOx and other GHGs more powerful than CO2. Although the ZA used a great deal of information that was provided in the submission that explained the crossing of the Greenhouse Gas threshold of significance, for some reason he mistook a different pollution issue as being about Greenhouse Gases. In his ruling the ZA discussed other pollutants called “Criteria Pollutants” at great length. But he called them Greenhouse Gases and argued that the level of Criteria Pollutants did not cross the GHG Significance Threshold. The problem is that they are not at all the same thing. Criteria Pollutants are led by Carbon Monoxide (CO), Particulate Matter (PM), Volatile Organic Compounds (VOCs), and Nitrous Oxide (NOx). In that list only NOx is a Greenhouse Gas. The ZA’s decision did not address the Carbon Dioxide (CO2) or CO2 equivalents that would be emitted by the proposed CEB 800. He also never stated the Significance Threshold set by SCAQMD, which is 10,000 metric tons of CO2 and/or CO2 equivalents per year. Yet, without discussing these criteria, he declared that the level of Criteria Pollutants did not cross the Significance Threshold for Greenhouse Gases. Instead, the ZA discussed Criteria Pollutants as if they were Greenhouse Gases, but they are not. He used measurements of the wrong gases to assess whether the CEB 800 would cross the Greenhouse Gas Significance Threshold and he did not include a statement of the Significance Threshold. If the ZA had included a statement of the CEQA Significance Threshold for GHGs – 10,000 metric tons of CO2 and CO2 equivalents per year – it would have been a reminder that the measure for Greenhouse Gases is CO2. The CEQA issue is one of the most important in the appeal. FMOG says the ZA was right about Greenhouse Gases, but wrong to question and reject their contention that they should get Categorical Exemptions for everything and forever. While we agree with the ZA’s rejection of the CEB 800 and his reasoning that CEQA required Planning to perform an environmental review higher than a Categorical Exemption before he was given the case, we think the GHG Threshold and the clear need for an EIR are of the utmost importance in responding to FMOG’s appeal. The fact that the CEB 800 would exceed the GHG threshold shows conclusively that a full EIR would be required. A critical part of an EIR is a requirement to study potential alternatives to the proposed project. Such a requirement is not part of the lower level review. There are better alternatives to the CEB 800, and their existence undermines the heart of FMOG’s appeal. The CEQA GHG issue helps expose the central flaw of FMOG’s appeal filing: Contrary to FMOG’s ever shifting arguments, the CEB 800 is NOT a necessary piece of equipment and it is not intended to provide redundancy. This brings us to the concluding critical points about the ZA’s ruling and FMOG’s appeal. The ZA looked at FMOG’s long series of changing explanations of why it was proposing to install the CEB 800, and the ZA zeroed in on something we showed him in the document trail: First FMOG said that the CEB 800 was “necessary” and “essential” for expanded operations that had been approved in 2007. Later, FMOG changed its story to say that the CEB 800 was needed only for purposes of “redundancy,” which means to back up other equipment in case it breaks. FMOG made this major change in its story in fall 2014, when Planning told them that the “necessary” and “essential” argument constituted “piecemealing,” which means breaking a big project up into smaller parts to evade CEQA review. That is against the law. FMOG doubled back to try to save its quest for a Categorical Exemption, and it did so by arguing that they didn’t really mean necessary and the CEB 800 wasn’t really tied to the drilling of new wells approved in 2007, but was only needed for redundancy. The ZA’s ruling discusses the difference between “essential” and “redundancy.” He decided to run with FMOG’s last argument in the case up until that time. The ZA ruled that if the CEB 800 is for redundancy, then it is not essential, and then he rejected it for clashing with the surrounding R4 zoning. The Murphy Drill Site opened in 1961 and has been operating for 55 years without ever having a flare in place. If a flare were a piece of essential redundancy necessary to safe operation like all the engines on a multi-engine passenger plane, then the Murphy Drill Site could not have been properly operated for the past 55 years. In fact, the CEB 800 flare is not essential for redundancy. The 55 year history of the drill site without a flare proves this point. FMOG is continuing to make untrue claims. The CEB 800 is not essential because there are other and better means to handle the waste gas that FMOG can no longer sell to SoCalGas due to a rule change going into effect this year, but announced originally in 2011. These other options include using fuel cells and/or microturbines that would generate electricity that would benefit all of us, even the oil company, and do so with lower emissions than the CEB 800 flare. Fuel Cells would have virtually zero emissions, and they would also produce hydrogen that can be used to fuel zero emission cars. The CEB 800 would harm the environment and its use would be a pure waste of a natural resource. As the ZA argued, it would increase environmental impact and cause more nuisance and annoyance, not lessen those negative factors. It would harm the “passengers,” to use FMOG analogy, not protect us. 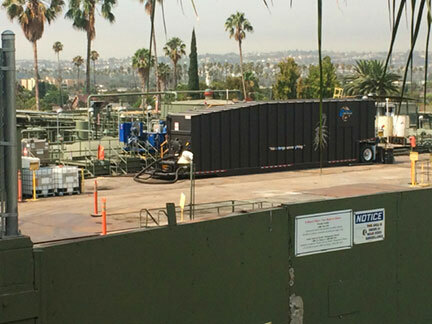 FMOG declared to SCAQMD that its plan is to increase the amount of gas they use at the site from about 100,000 cubic feet per day in five currently existing microturbines and some processing equipment at present to a total of 500,000 cubic feet per day by adding the CEB 800 flare. That is a fivefold increase, from 100,000 cubic feet per day to 500,000 cubic feet per day. A fivefold increase is not redundancy! It is an unprecedented expansion using an unprecedented piece of new equipment that the ZA rightly declared has no place in an R4 zone or within 500 feet of any residential zone. Steve Peckman and I and UNNC and many neighbors have been making these kinds of arguments throughout the long Planning case. UNNC has repeatedly said that it is not trying to shut the Murphy Drill Site down, and neither am I, nor is Steve. The Drill Site has been there for 55 years and its operators have some legal rights. But so do we. And the City has legal obligations to uphold its own law and follow State law when it comes to CEQA. These are the kind of arguments that have persuaded Mr. Wesson to oppose installation of the CEB 800 flare, to introduce motions in Council to hire a Petroleum Administrator, and to call for emissions monitoring at Murphy. We think these are the kind of arguments and the kind of evidence that swayed the ZA to oppose installation of the CEB 800, and getting a ZA to reject a proposal from an oil company was an unprecedented victory. But we need to remember that in politics and in legal and administrative struggles it is almost never enough to just make an argument once. It is almost always necessary to be persistent, and that is absolutely true in this case because oil companies are nothing if not persistent. That is their right, but it is ours, too, and we need to exercise it if we want to have an effective say in shaping and protecting our community. Drill Sites in Central and West Los Angeles include the downtown St. James Drill Site at 14th Place and Hill St, the University Park site operated by AllenCo, the Jefferson Drill Site, the idle 4th Ave Drill Site, the Packard Drill Site on Pico at Spaulding, the Beverly Center Drill Site between the shopping mall and Cedars Sinai Hospital, the Pico/Doheny Drill Site, and the Hillcrest Country Club Drill Site in Rancho Park. None of them have flares. 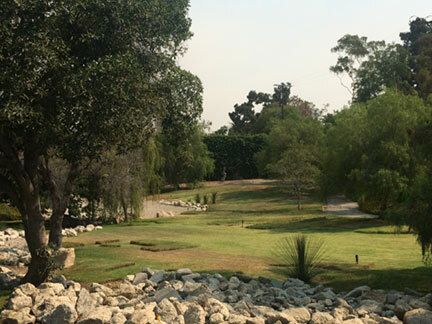 There is another Drill Site located on the City’s Rancho Park Golf Course and that Drill Site has a CEB 1200 flare on its lot that it has never used, and also has never had reviewed and approved by Planning. Only the large Wilmington Drill Site has gas burning flares, two of them, and they have been repeated causes of complaints.